I have two more updated camera reviews for you, this time of a pair of mechanical 35mm SLRs with onboard meters. The first is the Pentax Spotmatic F. Goodness, I can’t say enough positive about this camera. If you don’t have one, get one. Read my review here. 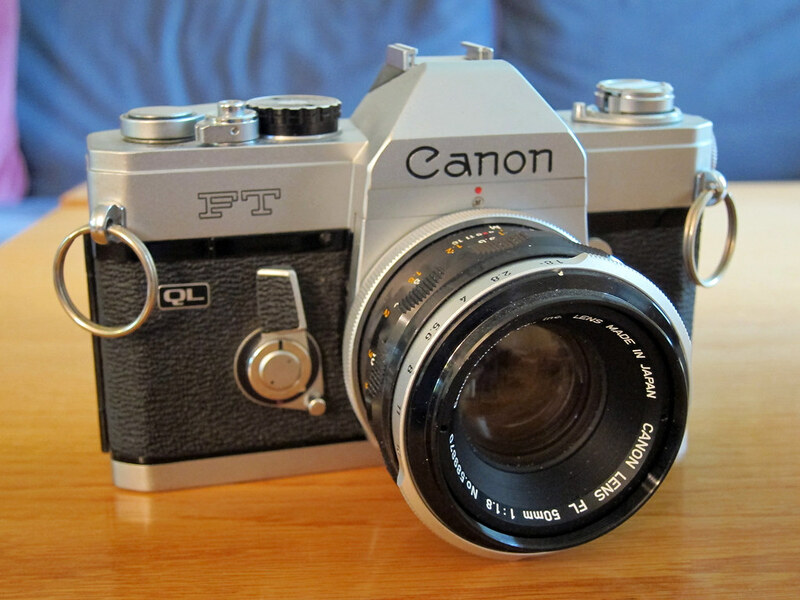 The Canon FT QL is a competent performer, and very solid under use. I’ve significantly revised this review, with freshly reprocessed images. Read my review here. I decided that I’d own but one Pentax SLR body for the M42 screw lens mount. It was easy enough to discard a Spotmatic SP with a dead meter and a rough winder. But I still had to decide between my ES II and this, my Spotmatic F, both of which offered open-aperture metering with Super-Multi-Coated and SMC Takumar lenses. It was a tough choice. 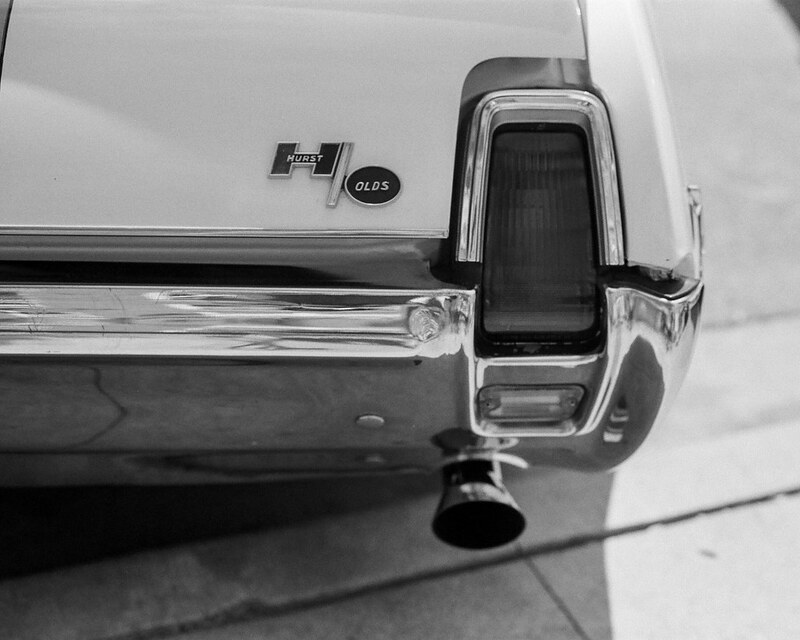 My ES II is an aperture-priority camera and that’s my favorite way to shoot. It was in very good cosmetic and functional condition. 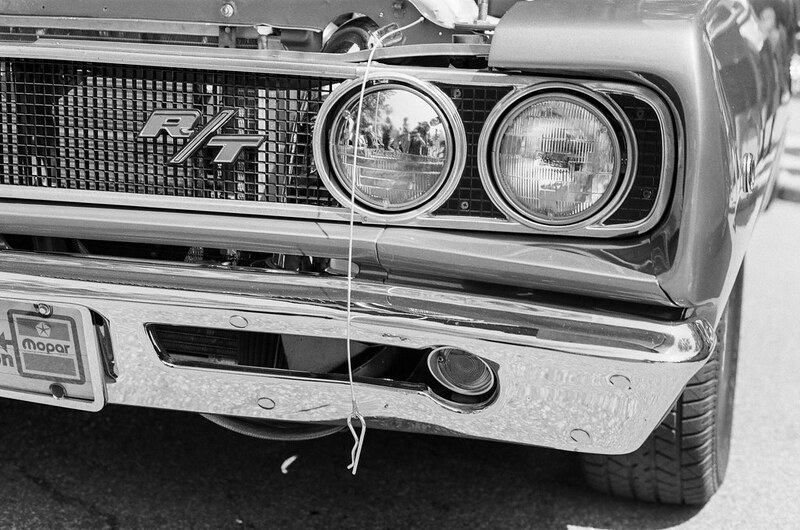 The Spotmatic F has a match-needle exposure system, which is a half-beat slower for me than aperture priority. But it had been a seldom-used sales demonstrator and had been CLA’d when I got it. It was, essentially, new. And what a performer it is! 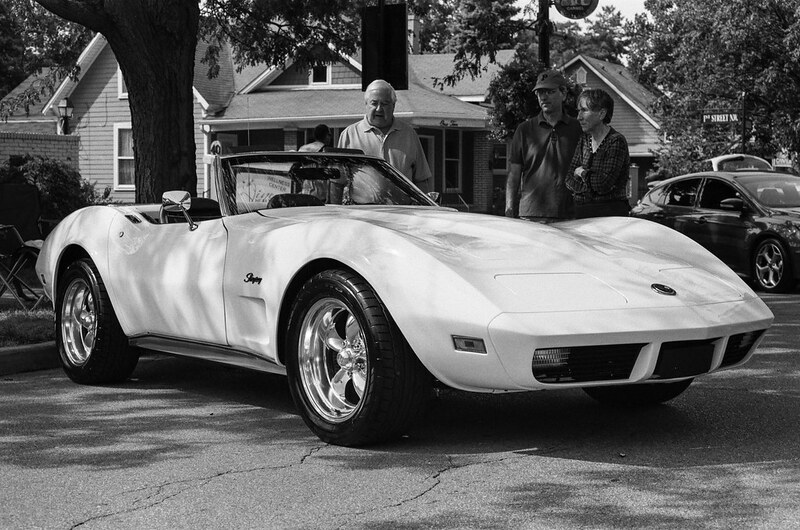 Here’s a favorite shot I made with a 55mm f/1.8 SMC Takumar lens on Kodak Plus-X. 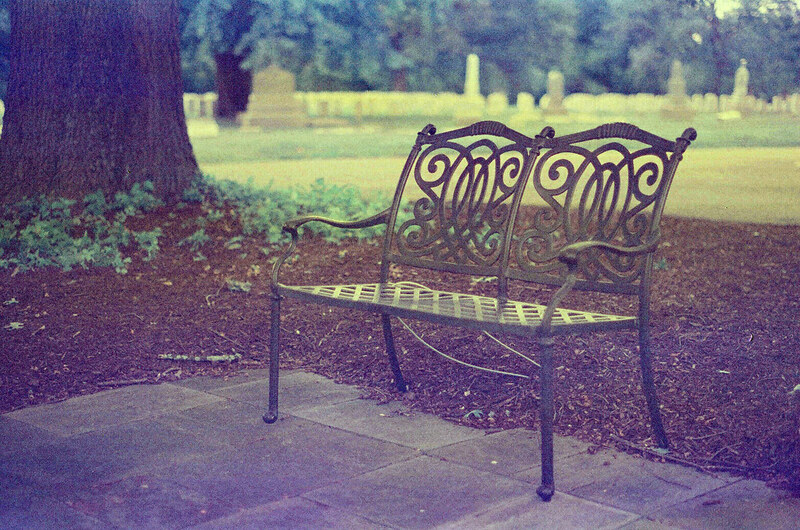 I loaded some Ektar 100 into the Spotmatic for this outing, and screwed on my 35mm f/3.5 Super-Multi-Coated Takumar lens. I love the 35mm focal length for everyday walking-around photography, which is the kind of photography I do most often. The SPF felt wonderful and performed flawlessly in my hands, just as it always had. 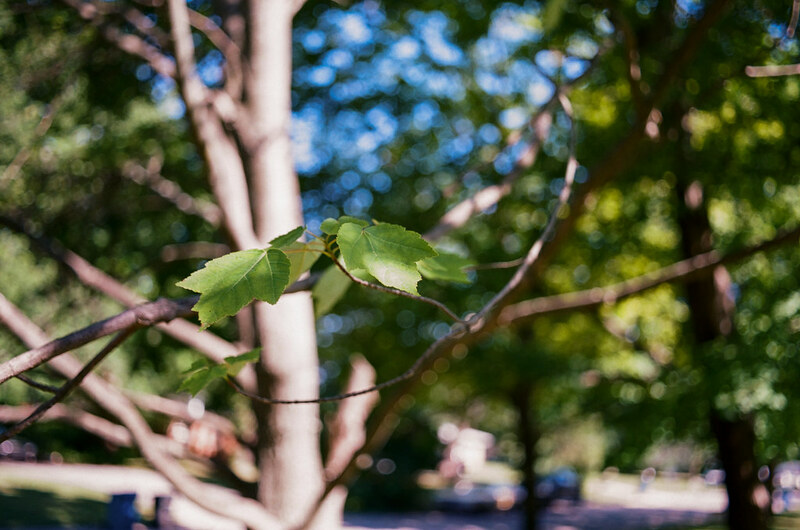 The Ektar beautifully captured the September colors. Every photo on the roll came out a little overexposed, though. I’ve noticed that on the Pentax bodies I own that were CLA’d by Erik Hendrickson (as this one) I always need to reduce exposure in Photoshop by a half stop or so. Perhaps I should set the cameras that way. Perhaps I should test this SPF’s exposure readings against a known-good light meter. I felt mighty lazy the day I took this photo walk — I couldn’t be bothered to move in closer to a number of subjects. This one would be helped by a closer crop. When was the last time you saw a Chevy Citation parked curbside, though? 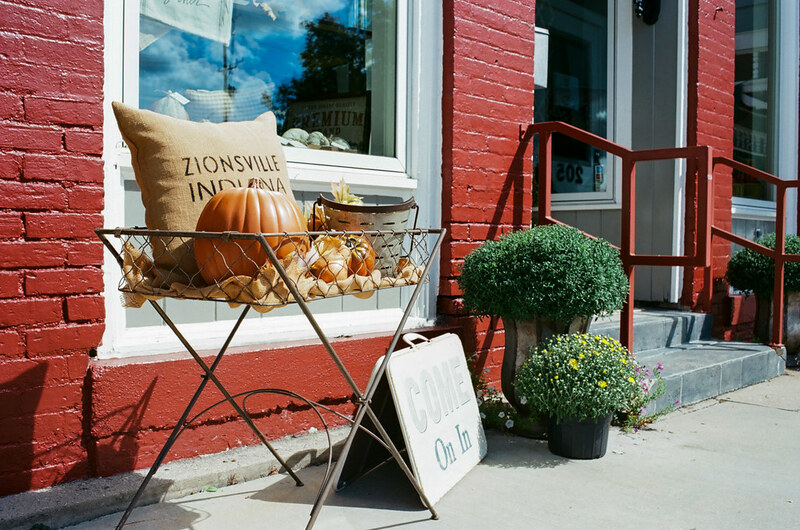 I took two walks through Zionsville to complete this roll. 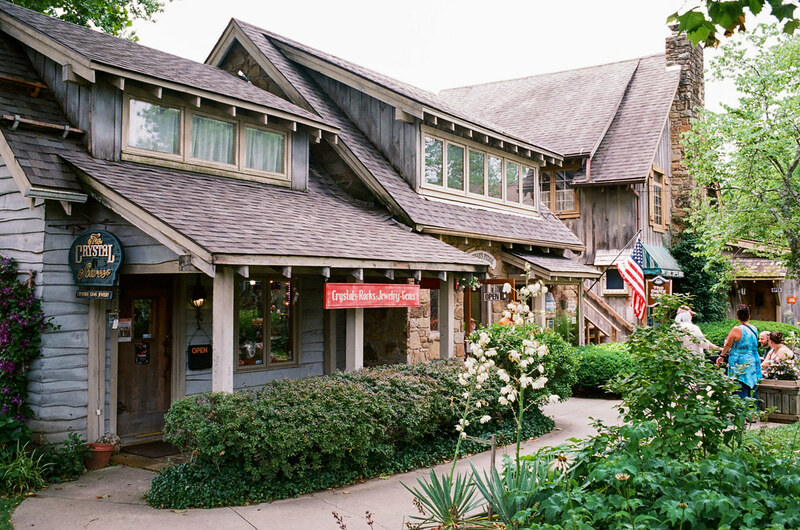 Zionsville is simply charming. 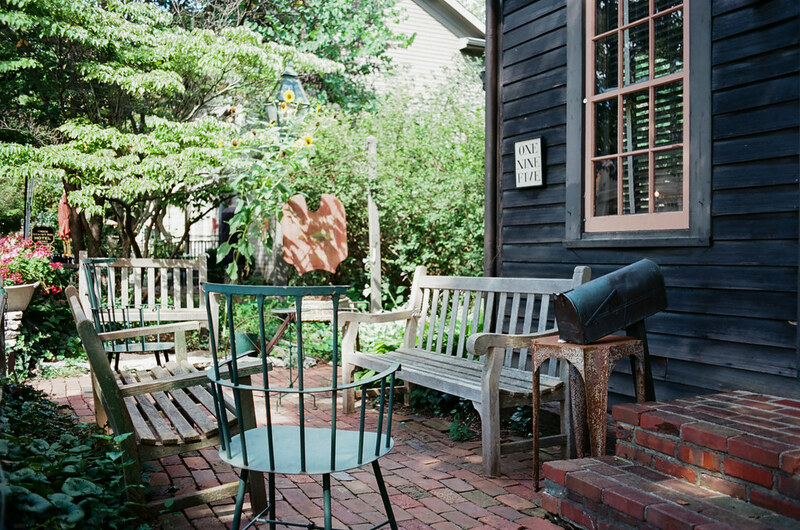 To see more of my work with this camera, check out my Pentax Spotmatic F gallery. Using the SPF cemented my decision. Before I even sent this roll of Ektar off for processing, I gave the ES II to a fellow film photographer. The ES II remains a lovely and capable camera, and there will be times I wished my SPF would let me shoot aperture priority. But this SPF is just too compelling on its own to let go of. 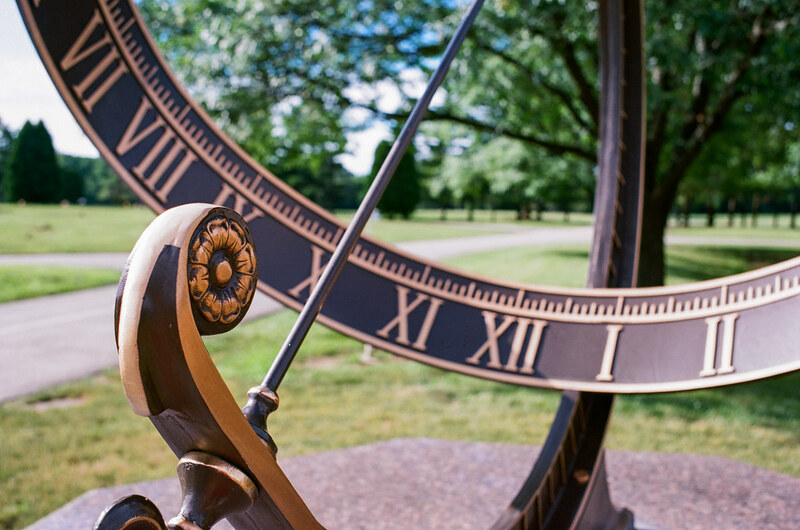 Here’s when film photography isn’t very much fun: when your gear malfunctions, or doesn’t behave as you expect. 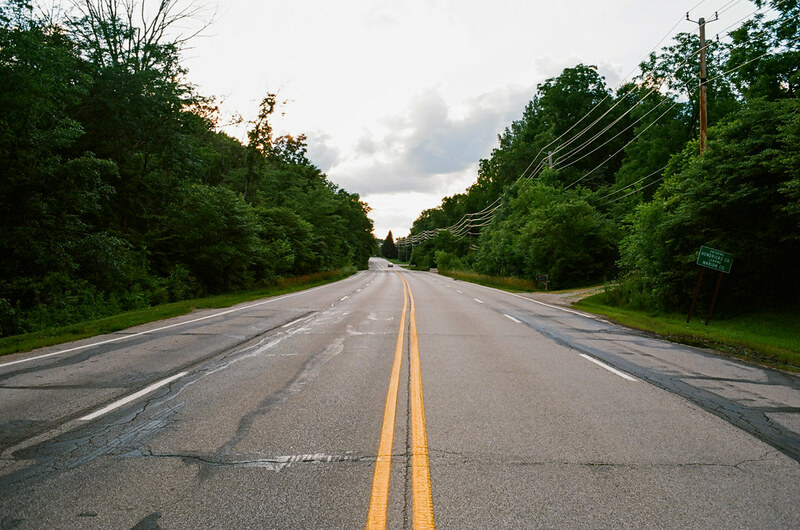 I loaded my Spotmatic F with some Ektar 100 for a few days on the National Road, a trip from which I’m just back. After I shot the 36th frame, I was able to wind to 37. That happens sometimes. But when I was able to wind to 38, I uttered a quick epithet, for I knew that the film never properly wound onto the spool in the first place. I’d shot 38 frames onto the film tail. Thankfully, I also shot digital on the trip and so all is not lost. 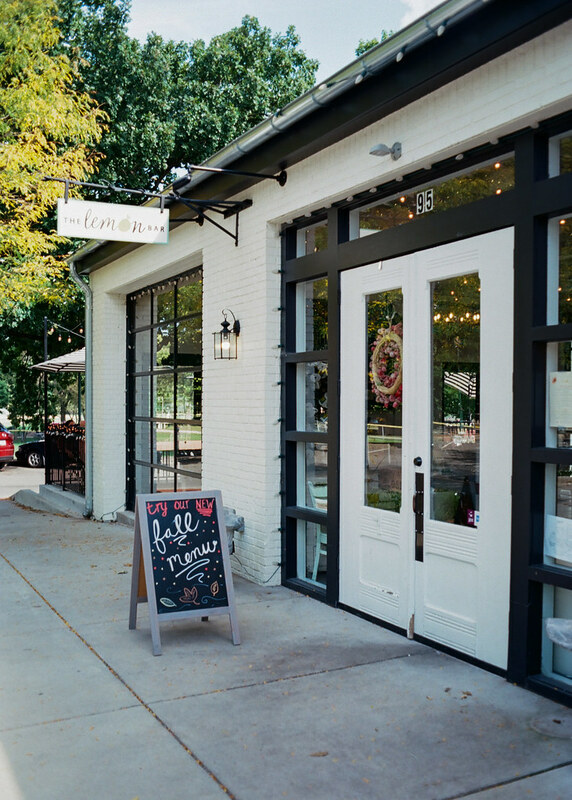 When Stephen Dowling of Kosmo Foto launched his new site World on Film last summer, he asked me to contribute an article for its debut. That sounded like fun, so I wrote about my Route 66 trip, which I shot on a Kodak Brownie Hawkeye; read it here. To say thanks, he sent me a few rolls of expired slide film. The first one into my Pentax Spotmatic F was 2003-vintage Konica Chrome Centuria 200. 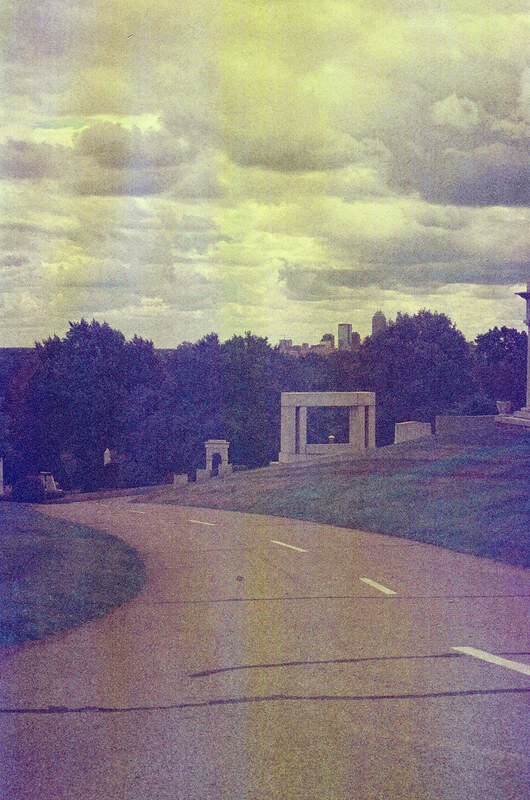 You never know what you’re going to get with expired film. That goes triple for slide film, given its narrow exposure latitude. Conventional wisdom says expose one stop less for every decade a film has been expired. But I’m not conventionally wise: I shot at box speed. Each frame was badly washed out. 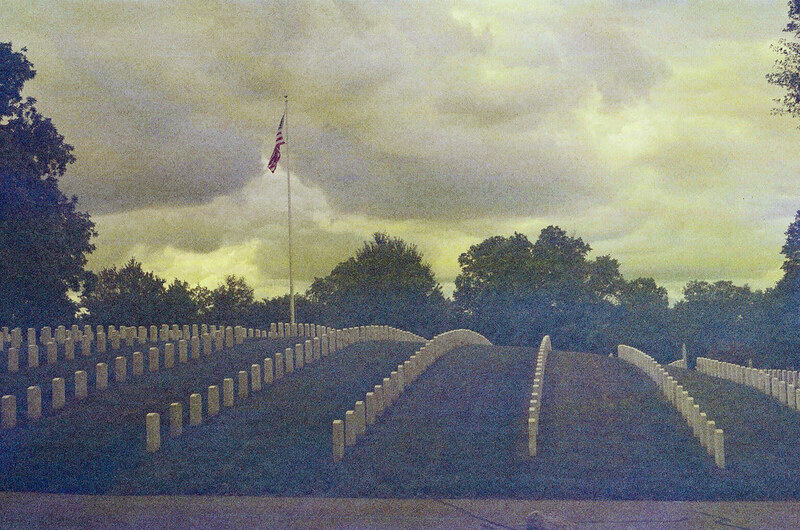 Fortunately, Photoshop was able to make usable images out of the entire roll. 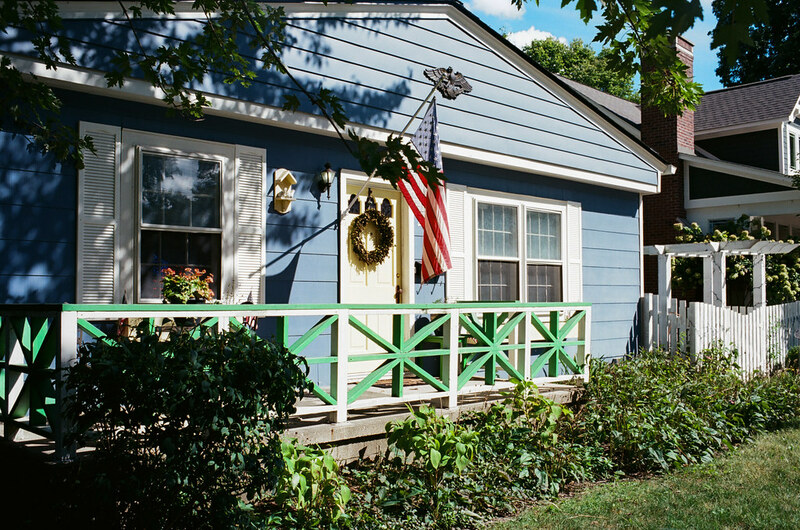 I started shooting this roll before I moved from Indianapolis to Zionsville. I wanted one more walk through Crown Hill Cemetery, which was so convenient to my former home. 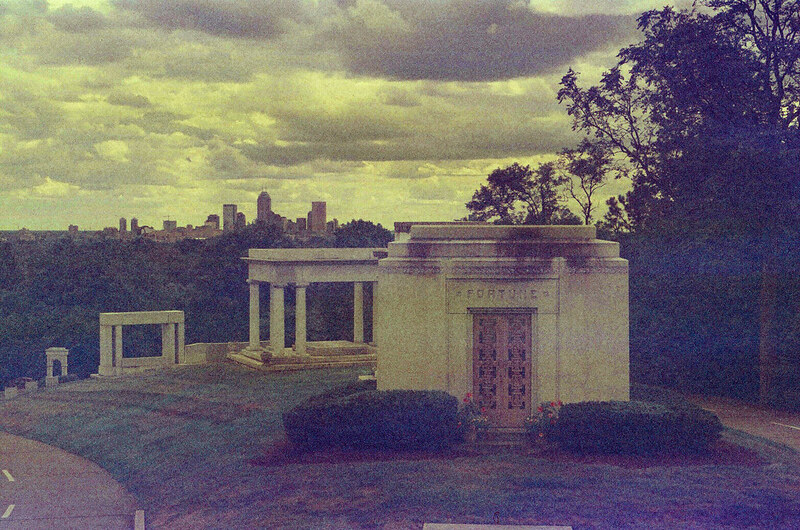 I’ve shot this view from Strawberry Hill, the highest elevation in Indianapolis, many times. But never before has it looked like it came straight from a dystopian apocalypse movie. Reading up on this film, I learned that it had a reputation for grain. I got plenty of grain, all right! But these heavily Photoshopped images aren’t a fair representation of what this film could do when it was new. 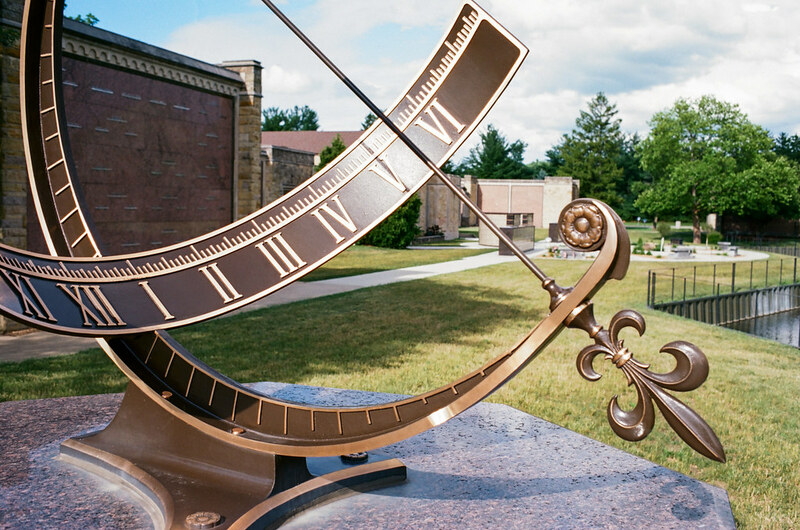 The 55mm f/1.8 SMC Takumar lens I used was just right for the cemetery’s wide-open spaces and interesting details. As a whiskey fan, the very thought that a pump might freely deliver delicious Woodford Reserve bourbon charms me no end. (Check the stamping on the pump body.) My sour mash dreams were dashed when I learned that this pump is from the Woodford Manufacturing Company of Colorado Springs. This looks like their Model Y34, which has been manufactured continually since 1929. 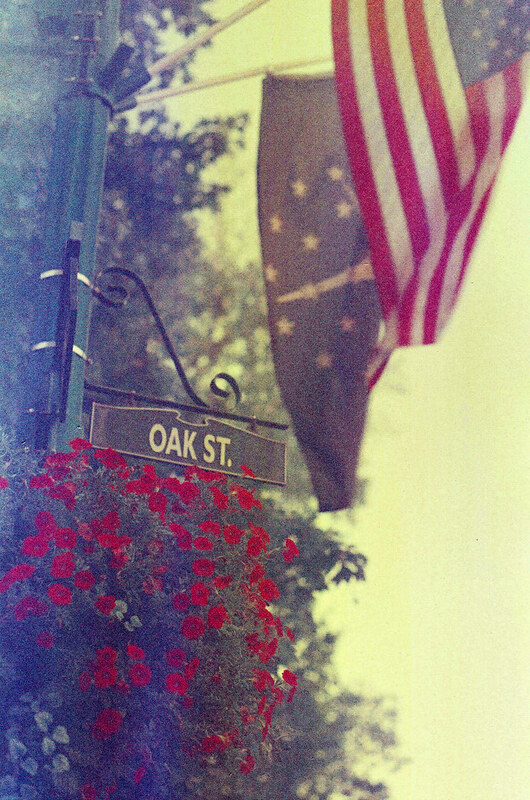 I finished the roll on an evening walk through Zionsville Village. 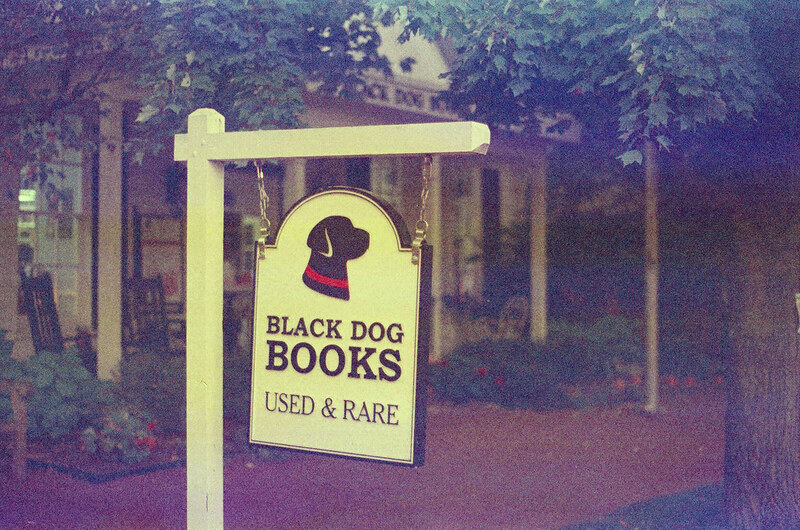 It’s become tradition that I photograph the Black Dog Books sign. Then Margaret and I stepped inside for the first time, where I found and purchased a book of Edward Weston photographs. This expired stock let every color fade away — except red. 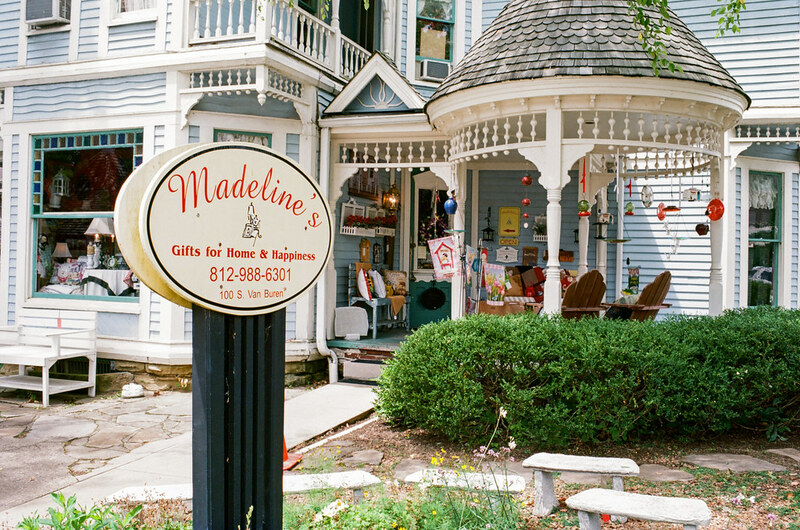 This film was still in my Spotmatic when Margaret and I traveled to Versailles, Indiana, for a meeting of the Historic Michigan Road Association. We met in a stunning Art Deco church. 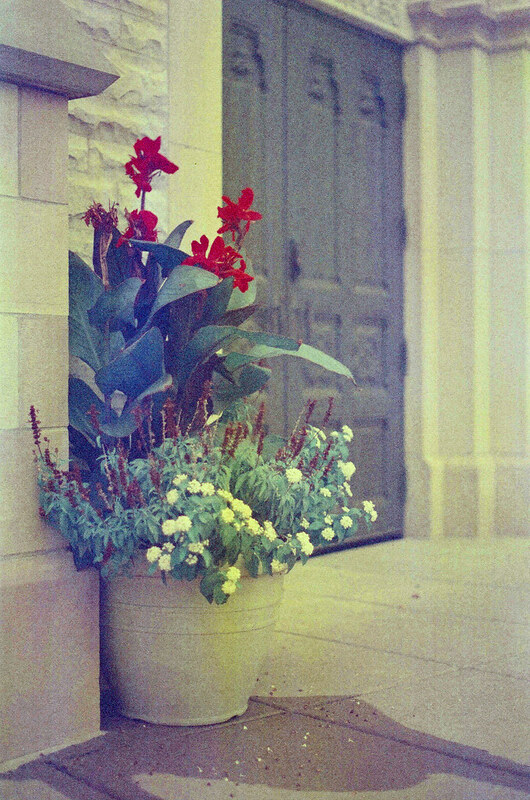 Look for photos of that church on this expired film in an upcoming post! 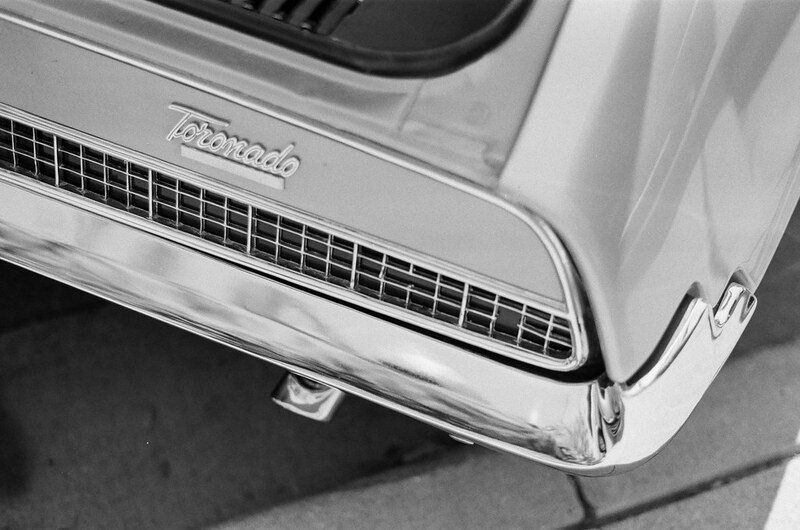 I had two SLRs slung over my shoulders at the 2017 Carmel Artomobilia last month: my Pentax ME with wonderful Fujifilm Superia 100 inside, and my Pentax Spotmatic F with my last roll of Kodak Plus-X. 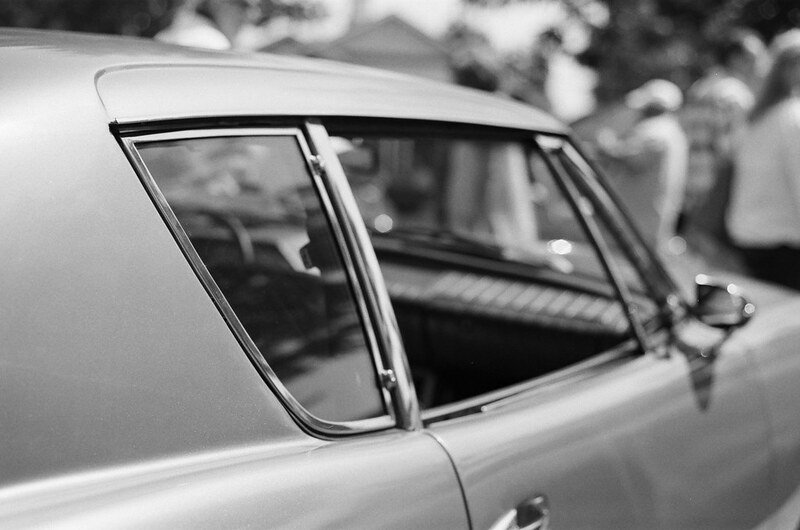 On this day, with this lens (55mm f/1.8 SMC Takumar), the Plus-X returned blacks you could just fall into. And the grays and whites came out creamy. I wished briefly that I had screwed in my 35mm f/3.5 SMC Takumar. The thick crowds made it difficult, at best, to back up far enough to get entire cars in the frame. The 35/3.5 would have made me back up a lot less. But I’ve been exploring the 55/1.8’s considerable charms lately, and in retrospect am not disappointed I left it on the camera. It performed well, and it’s seldom a real problem to focus on an old car’s details. Growing up in the 1970s as I did, when half or more of the cars on the road were from GM, it was easy to take their dominance for granted. Looking back, it’s clear just how good their designs were. 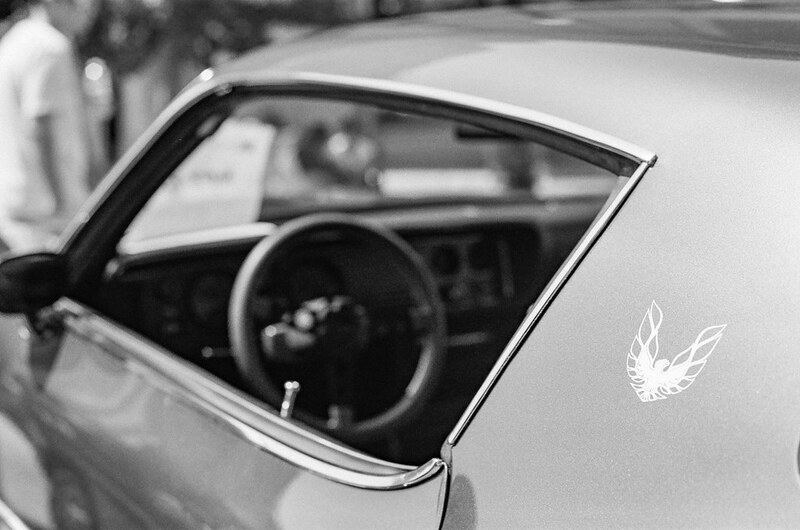 How daring it was in 1970 that the second-generation Camaro and Firebird had no distinct rear passenger windows! The shape of this window opening is just smashing. 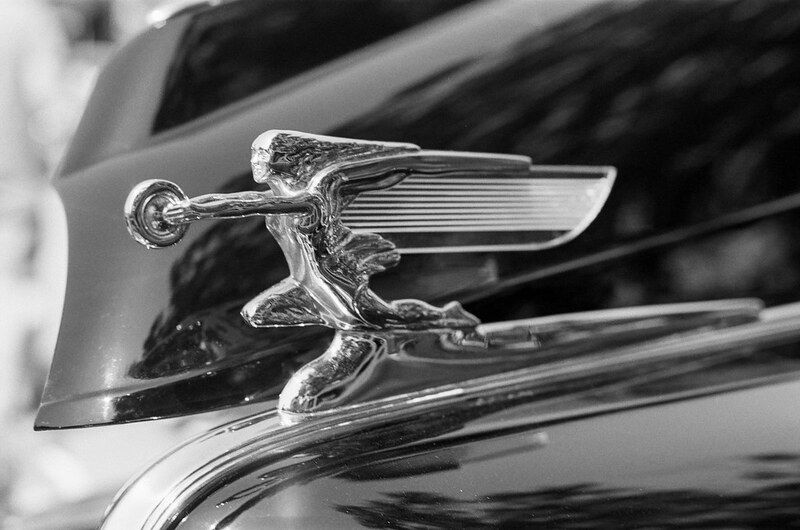 Packard’s Flying Lady hood ornaments are a favorite subject. I shoot them whenever I come across them at a car show. 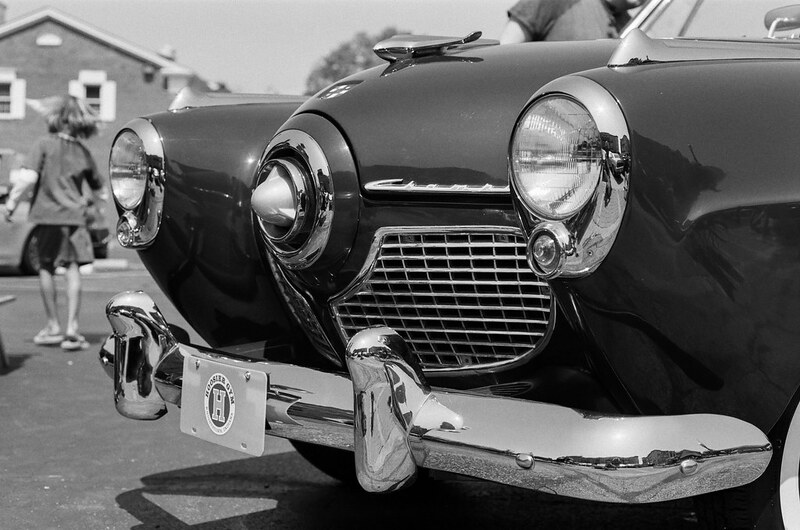 This is the famous front end of the Studebaker I photographed from the rear here. The girl walking away was a happy coincidence as I framed this shot, so I made sure to include her. 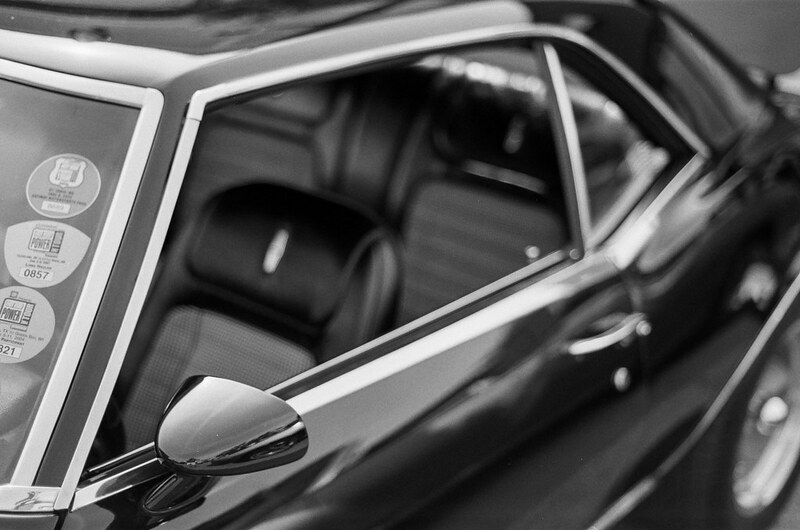 The Citroën DS is funky from every angle and in every detail. Just check out how these headlights don’t both point forward. 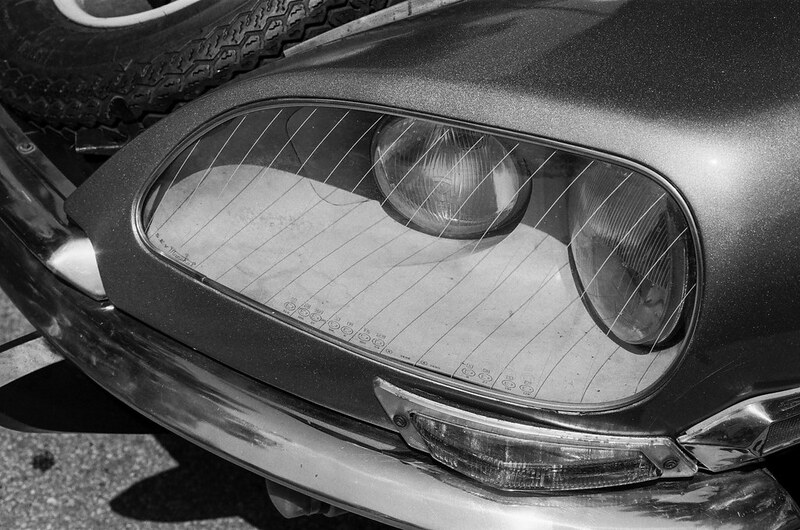 This is a later DS; earlier ones had uncovered headlights. 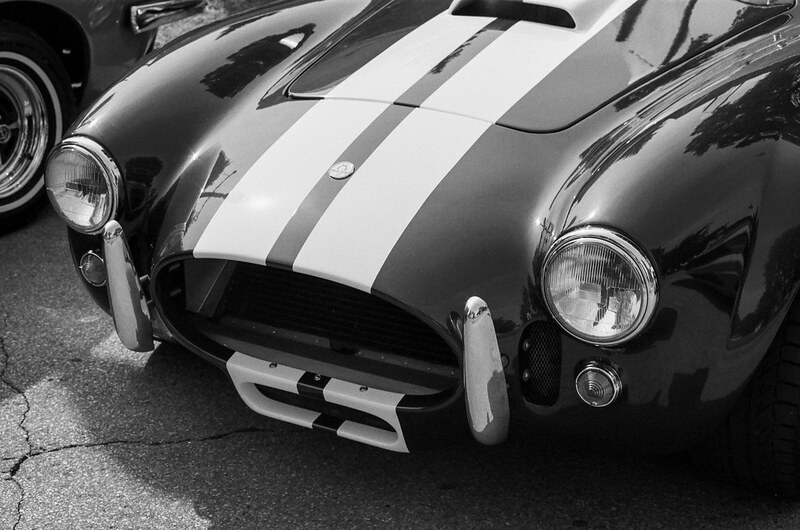 Plenty of American muscle was on display at the Artomobilia. I’m partial to the Mopars of the era for their no-nonsense styling. Avantis were made in my hometown, South Bend. They were Studebakers at first, but after Studebaker shuttered a new company formed to keep Avanti production going. They used leftover Studebaker engines at first but eventually had to turn to Chevy to provide powerplants. 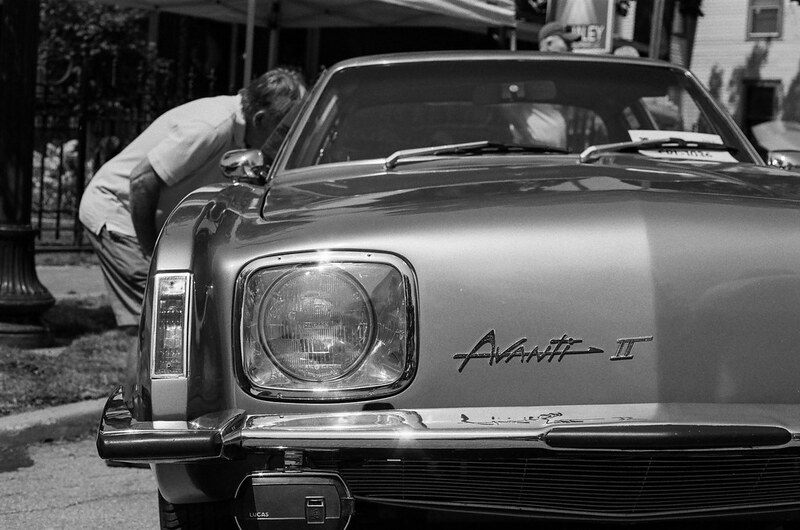 Post-Studebaker Avantis were given the “Avanti II” name, probably for rights reasons. As the show began to wrap up and the crowds thinned, I was able to get a few wider shots of the event and its cars. It wasn’t all classics at the Artomobilia. Several owners of newer hi-po Ford Mustangs lined up their cars for inspection. Here’s hoping I can find time for more car shows. I do love to photograph cars and I think I’ve become pretty good at it. They’re certainly the subject with which I am most confident. 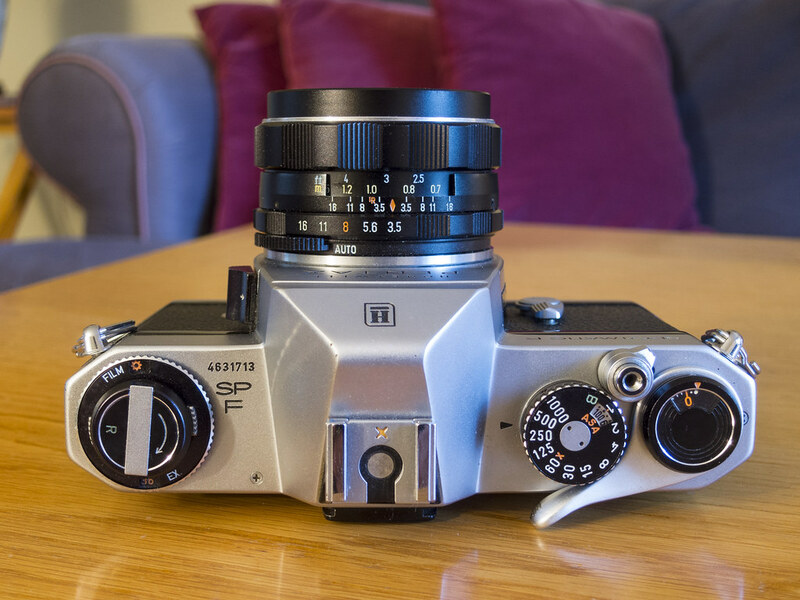 At last: open-aperture metering on a Pentax Spotmatic. It’s not like stop-down metering is hard. It’s just an extra step, and a quick one: flip the switch. Yet to be free of it! Exposure information in the viewfinder at all times! This feeling of ease makes the Spotmatic F more compelling than any stop-down Spotmatic that preceded it. Introduced in 1973, the Spotmatic F retained the original 1964 Spotmatic’s chassis. I expect the works are the same, too, except for changes enabling open-aperture metering. To power that meter the SPF got a bigger, more powerful battery: the dreaded, banned PX625 mercury cell. (Earlier Spotmatics used a battery that isn’t made anymore, though other special-order batteries can be adapted to fit.) But that’s not all bad, as highly available alkaline 625 cells fit and work fine despite delivering a little less juice (0.2 volts, to be precise) because Pentax added a bridge circuit to adjust voltage. It’s the only Spotmatic so equipped. Well-known Pentax repairman Eric Hendrickson cleaned, lubed, and adjusted this SPF, so it works like new. And it may well have been essentially new, serving briefly as a sales demonstrator before falling into the hands of a Pentax employee who kept it without, it seems, ever using it. 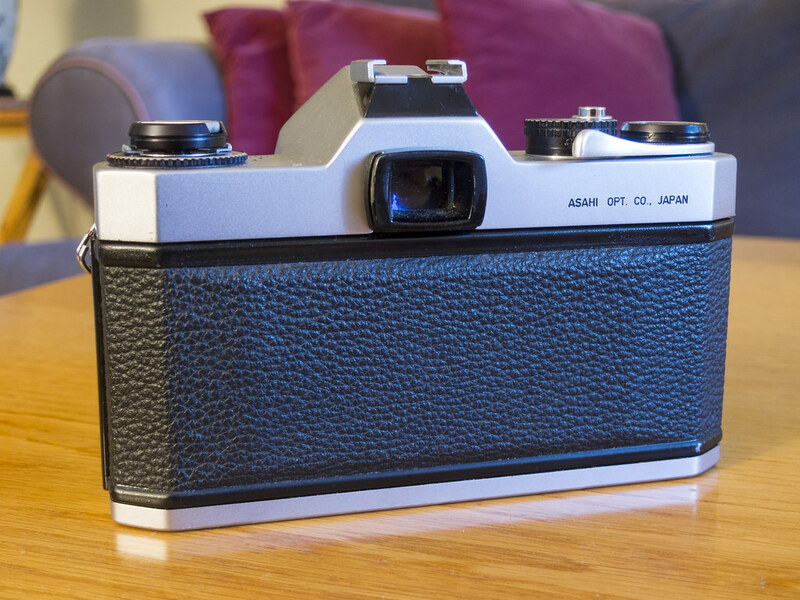 The SPF is a 35mm SLR with a cloth focal-plane shutter that operates from 1 to 1/1000 sec., with flash sync at 1/60 sec. The SPF takes M42 screw-mount lenses, but open-aperture metering works only with SMC Takumar and Super-Multi-Coated Takumar lenses, which have a pin that lets the camera read the selected aperture. With those lenses, the stop-down lever (on the right of the lens barrel) provides depth-of-field preview. Inside the viewfinder. Meter needle at right. When it’s horizontal, you have accurate exposure. The SPF meters through the lens using a CdS cell and a match-needle system in the viewfinder; it accepts films from ISO 20 to 3200. There’s no on/off switch, but at and below 2 EV the meter deactivates. Keeping the lens capped effectively turns the camera off. The focusing screen includes a microprism patch. You twist the focus ring until everything looks sharp and the patch stops shimmering. The older I get the harder it is to see the shimmer, and so I prefer split-image focusing screens. This is the only serious thing I wish were different about the SPF, because otherwise mine is just a joy to shoot. By the way, if you like Pentax SLRs then also see my reviews of the Spotmatic SP (here), the K1000 (here), the KM (here), and the ME (here). Or just check out all of my camera reviews here. This SPF came to me with a 35mm f/3.5 Super-Multi-Coated Takumar lens. 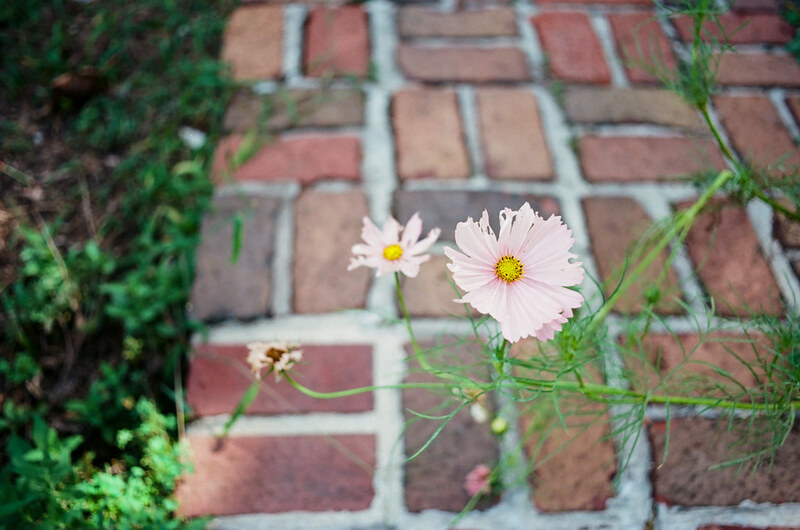 I love 35mm for everyday walking-around photography! Confident in my just-serviced camera I skipped over the inexpensive films with which I normally test cameras and loaded a roll of Ektar. I took the SPF to Nashville, Indiana, where I attended a conference. My day was pretty packed, but I slipped away at lunch for some photography. 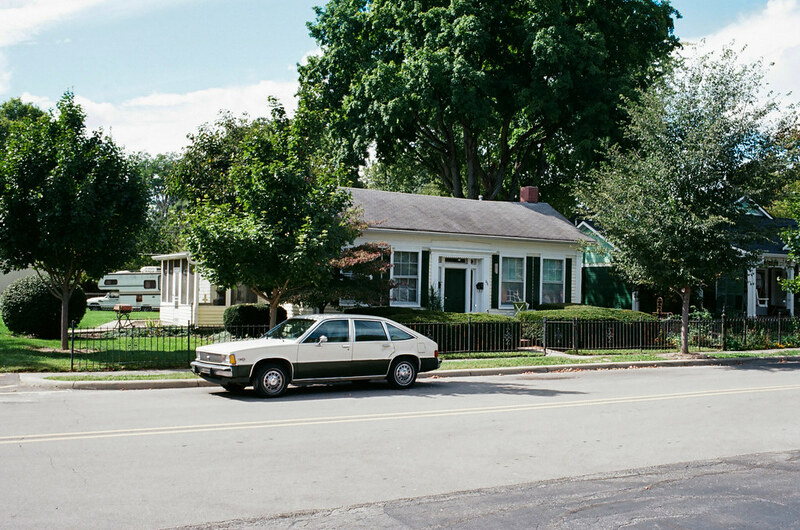 35mm lenses are just made for walking around and capturing scenery, of which there is plenty in Nashville. And this Takumar is sharp and renders color well. Downtown Nashville is all little shops and restaurants. It’s a fun day out, easily reached from Indianapolis. 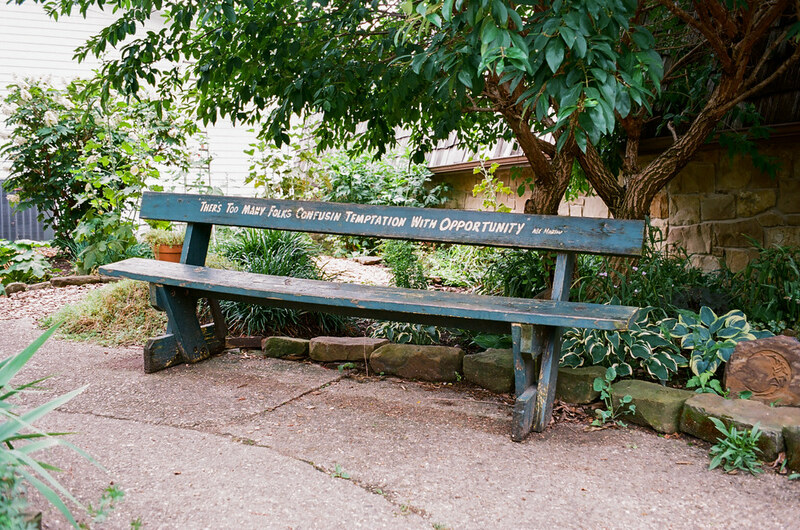 Nooks and crannies throughout Nashville provide plenty of interesting subjects. On a sunnier day I visited the cemetery near my house. This monument went up in the last year or so but I’ve already shot it many times. 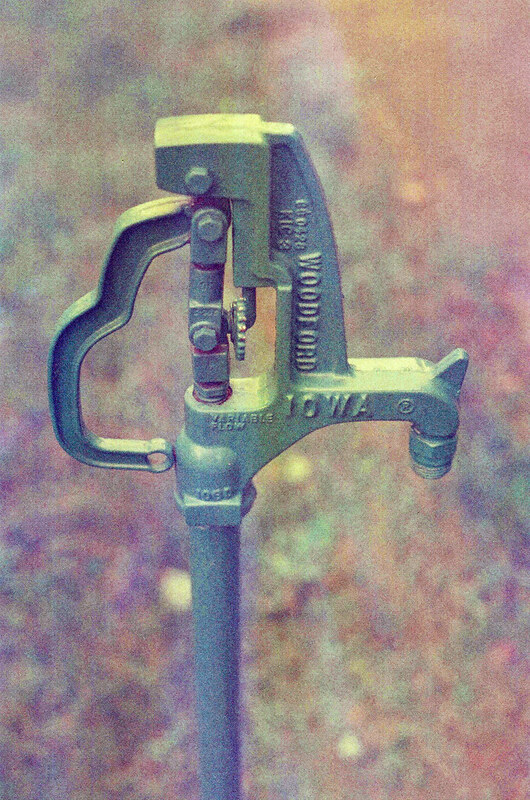 The Ektar handled the brown well. But wait…what’s that? Up there, in the trees? A little bokeh? Yes, and it’s interesting bokeh, a constellation of little points. If only the subject (those leaves) was more interesting. I walked through the neighborhood one afternoon with the SPF. 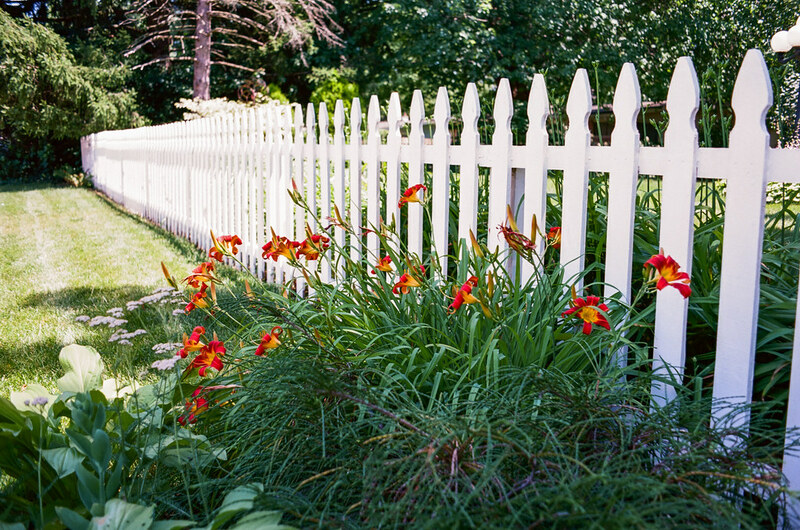 This isn’t a neighborhood of picket fences, this one neighbor notwithstanding. 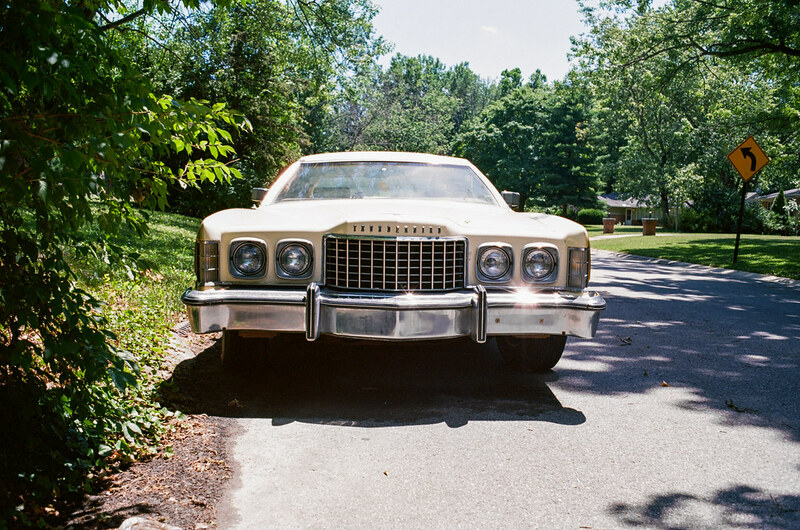 Another neighbor recently started parking this mid-1970s Ford Thunderbird curbside. It’s not plated. In a tonier neighborhood the HOA would be all over this Bird’s owner like stink on a garbage truck. Here, we have no HOA. His car can sit there for as long as it wants. A lonesome highway makes a pretty good subject. 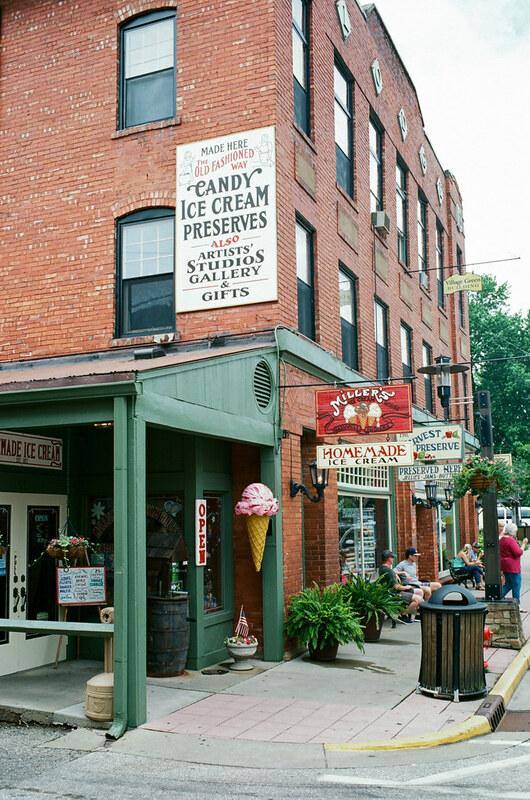 To see more photographs, check out my Pentax Spotmatic F gallery. 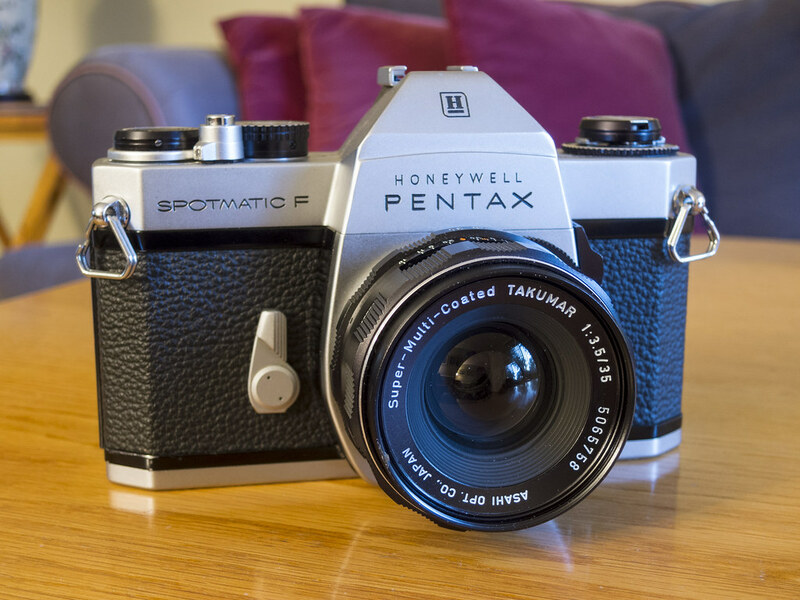 I waited until the end to say that the Spotmatic F is essentially the same camera as the 1976 Pentax K1000, except the K1000 uses the then-new K bayonet lens mount. Every other SPF review says that up front and I didn’t want to be tiresome. But I’m mentioning it now because I’ve owned a few K1000s, fine and competent cameras the lot. But I experienced real joy shooting this SPF, a feeling I’ve found elusive with any K1000. Perhaps some of that joy comes from my SPF’s like-new condition. Buttery operation never fails to impress. But most of it comes from an indescribable quality, something special that got lost in the K-mount translation. If you know your way around apertures and shutter speeds and want to break into film SLRs, just get a Spotmatic F. Pair it with the astonishing 55mm f/1.8 SMC Takumar lens and you’ll never fail to have great fun.